My first NFC fail of the day comes courtesy of YO! Sushi. You may remember me blogging about them on day one where I attempted to buy lunch from their branch at St Pancras International. Giving them another chance, I visited the branch just opposite of St Paul's Cathedral. This branch is listed on Barclaycard's list of venues that accept contactless payment. Speaking with the manager, it appears that contactless payment was once deployed at the branch but it stopped working after a software upgrade. 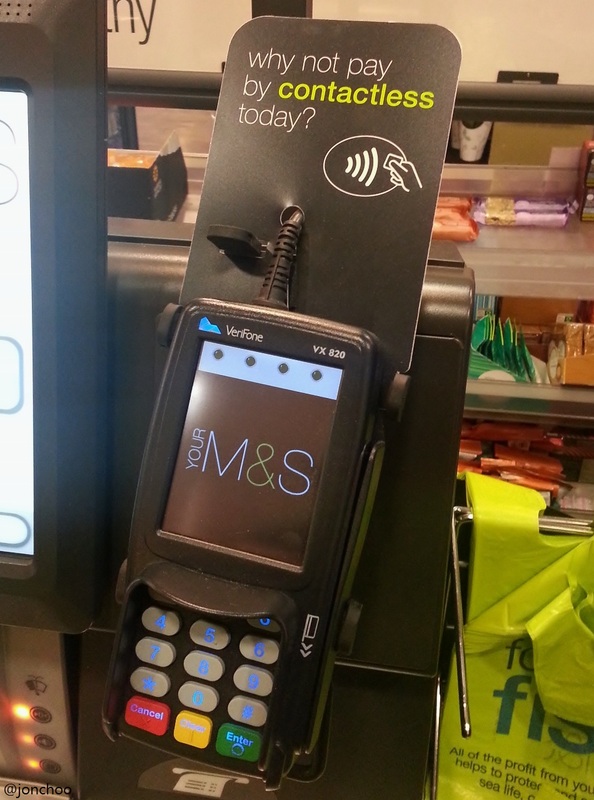 Further, it was never a popular method of payment as most customers spend more than the £20 cap would allow. Fair enough, I have always thought the £20 limit was a bit too stingy. While I agree that a limit should be imposed as a security measure, £20 is just far too low. £40-50 would have been perfect. Well, at least there was an EAT just across the road. 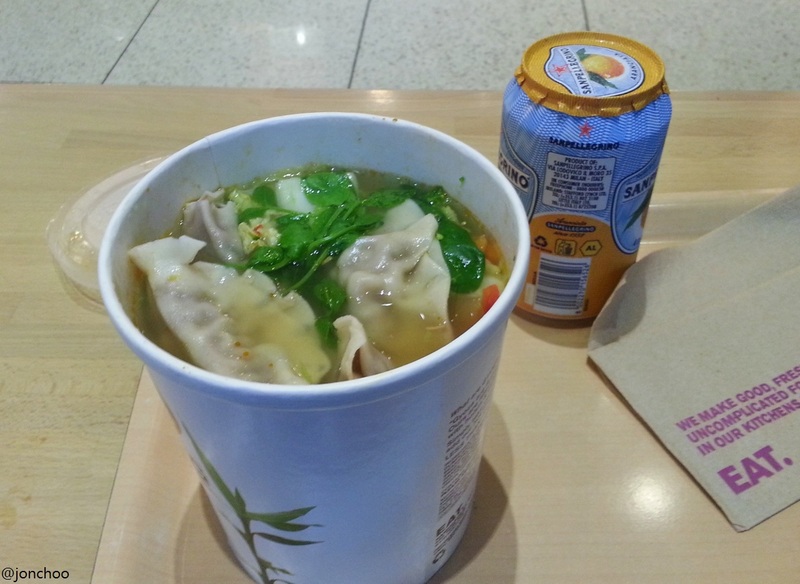 Grabbing a duck gyoza noodle soup and a can of orange juice for lunch, I attempted to pay. Once again, I stumbled into an issue with payment. The NFC terminal kept beeping errors, and worse of all, the Quick Tap Wallet decided to stop working, complaining about the lack of a specific SIM card. Luckily for me, it seems that contactless payment on phones can be made independently of the app, and the payment was successfully taken - this is literally like sticking a credit card on your phone. I certainly did not expect this, and while it saved me from some embarrassment while I rebooted the phone (which fixed the issue right away), I always thought the wallet mechanism acted as a security barrier. After lunch I asked the cashier if contactless is popular at that very branch. It appears so, which surprised me because they didn't seem to have recognise my attempt at paying via contactless earlier. Still, NFC credit and debits cards are more popular than smartphones (or NFC stickers on phones), though these are slowly gaining in popularity. 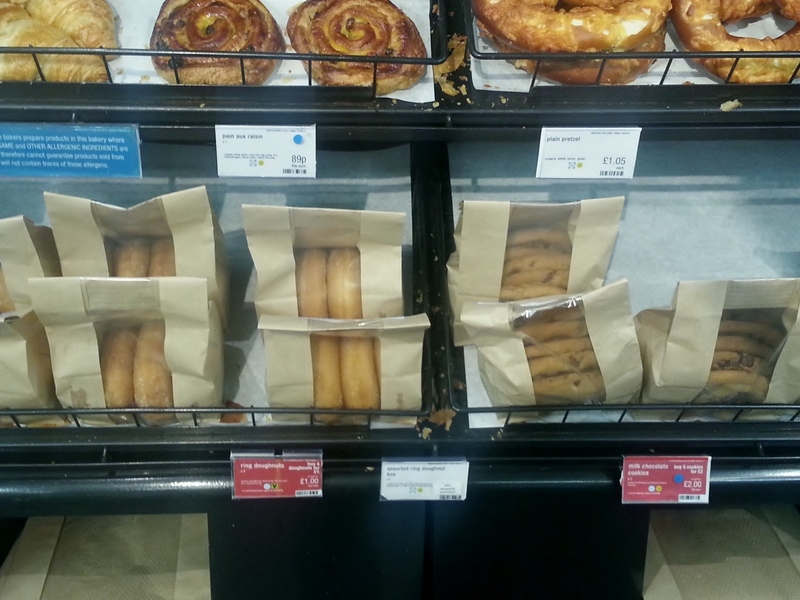 One of the challenges I attempted to do on day one was to purchase a box of Krispy Kreme for friends and colleagues. Krispy Kreme once accepted contactless payment, but have decided they didn't want it for whatever reasons, which I find odd as queues at Krispy Kreme can go on forever. The challenge has since been revised to 'invest in a box of treats'. In keeping with the original challenge, I really wanted to get some donuts, so after scouting the Tesco Express, Sainsbury's and M&S: Simply Foods (all three accepts NFC payment), I settled for M&S. 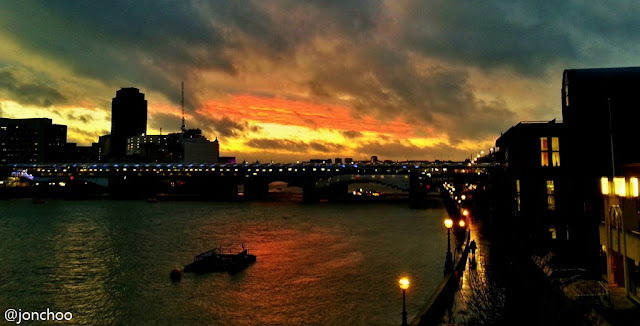 As the weather was pretty rubbish for much of the day, I decided to give the Thames Clipper challenge a miss. I did however asked the ticket seller at Bankside Pier if they accept contactless and he declined that they do. With him pretty adamant about the whole they do not accept NFC payment and awful weather, I did not bother to push further. I also decided to pay Tate Modern a quick visit today. Not only are the exhibits NFC-free, the tills at the gift stores, special exhibition ticket counters and cafes are curiously none-contactless. Which is a shame, as Tate Modern is that one single gallery I have always assumed would jump on the NFC bandwagon first. 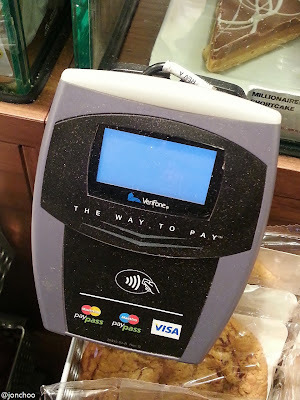 If ever there is something that would benefit greatly by having NFC, this is it. 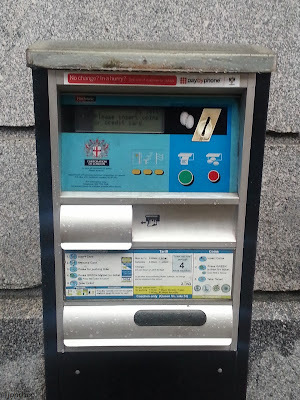 In San Francisco, PayByPhone has already integrated NFC into their metering machines. 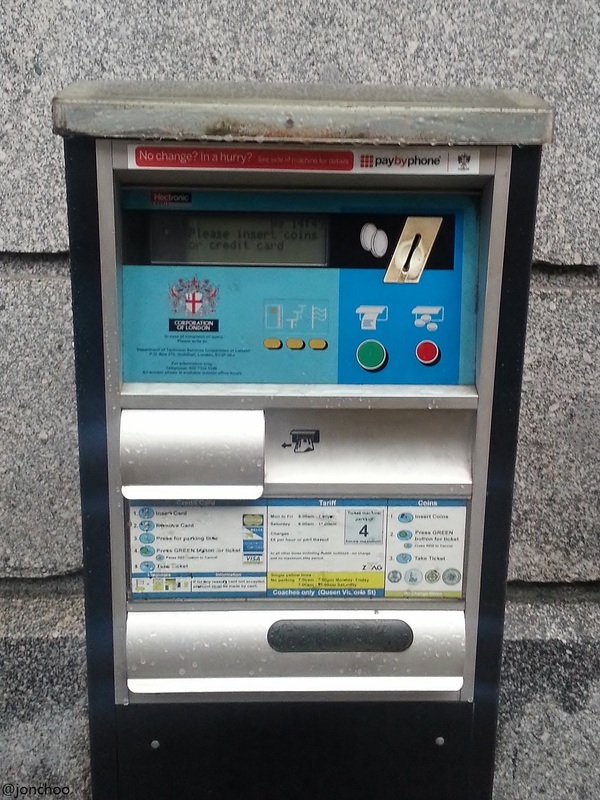 When tapped, this launches the PayByPhone application and uses the tags embedded from the scanned NFC tag to identify where the car is parked, and then charges the driver accordingly through whichever credit or debit card is tied to the account. It is such a brilliant concept and you wouldn't even need a mobile wallet for it to work. Come on London, keep up with the times!